Are you late to the party? If by this point UGC is not featured in your digital marketing plan, you are late to the engagement bonanza and missing out on the best way to authentically engage with your target audience. We&apos;ve all seen the stats-social media aggregators like Stackla have been proven time and again to increase site engagement, social ROI and conversion. Virgin Atlantic&apos;s UGC-driven campaign resulted in a 260% increase in online bookings year over year. Those little boxes on your homepage aren&apos;t just interesting images.They represent proof of life and provide the micro-moments responsible for influencing users to travel to your destination. Studies show that when users are planning a vacation they consider hundreds of sources before committing. Users crave authentic content that helps them to picture themselves at the destination. In a study conducted by Luth Research and Google, user Amy&apos;s online activity was followed for two months while she planned her trip to Disneyland. By the time Amy completed her trip research, she had racked up a total of 419 digital micro-moments. 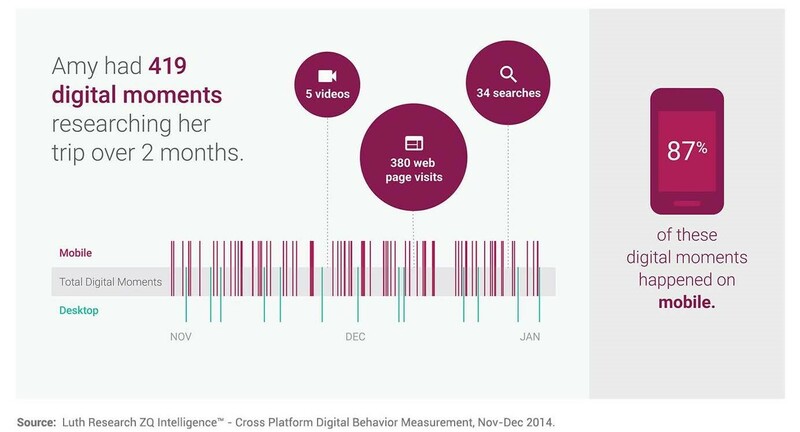 These moments included 34 searches, 5 videos, and 380 web page visits mostly on mobile. 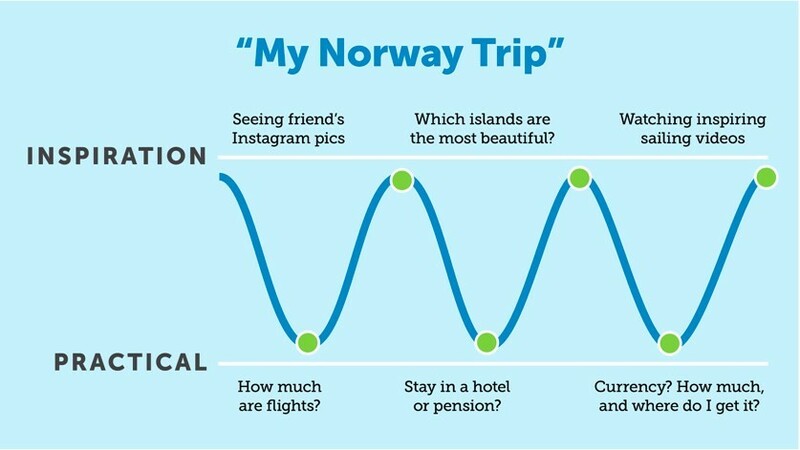 You may think of the trip planning funnel as being linear: Get inspired, pick a destination, and book a flight. But taking a closer look at the user experience suggests trip planning as more of a wave. Moments of inspiration throughout the planning process influence buying decisions. 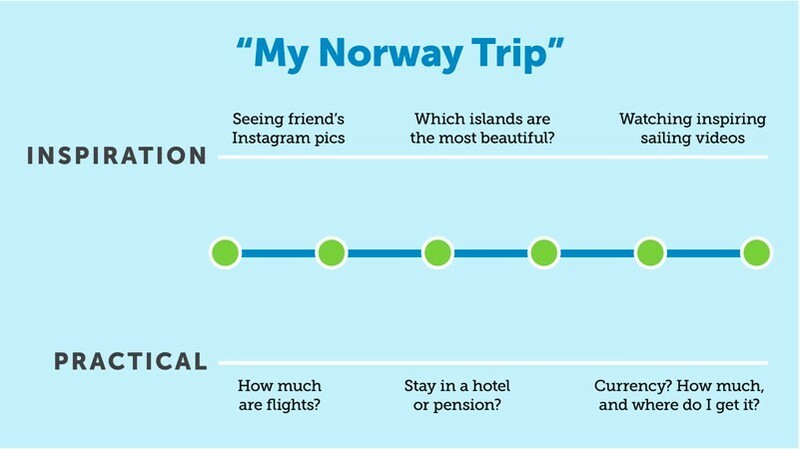 In other words, Amy sees her friend&apos;s Norway vacation photos on Instagram, checks out Travelocity for airfares, watches a YouTube video on the Northern Lights, then clicks on a VisitNorway.com ad for more ideas on what to do in Norway. If your best source of micro-moments content is isolated to the homepage of your website, you lose the opportunity to influence the buyer throughout the planning phase. Leveraging social ads, contests, and email content allows you to greatly increase the opportunity to make your destination&apos;s message the star in more of those critical micro-moments that lead to booking. Now that we know users make decisions on travel based on moments experienced across hundreds of sites, we have to find ways to alter our marketing plans to match. Using a curated UGC collection with AdRoll will push your UGC micro-moments across Facebook, Twitter, and hundreds of additional ad exchanges across the web. Remarketing guarantees your message will own more micro-moments than your homepage alone. Since user generated content is the best source of authentic and consistent content, it only makes sense to integrate your social media aggregator with a tool like Buffer to quickly schedule posts to social media. Many social aggregators today even allow you to manage rights directly in the tool. This opens up a great line of communication with your audience as well as provides more opportunity for comments and shares. Another great way to capture that micro-moment is through email marketing. According to the Nielsen Consumer Trust Index, 92% of consumers trust "earned content" more than any form of advertising. Using UGC in your email messaging captures a moment that could be a little stickier than most. It takes more than just your homepage. UGC has become a critical element to any digital marketing plan. At a minimum, DMOs should be publishing this content on their sites. But to really take a destination brand to the next level, it&apos;s necessary to think beyond the site. 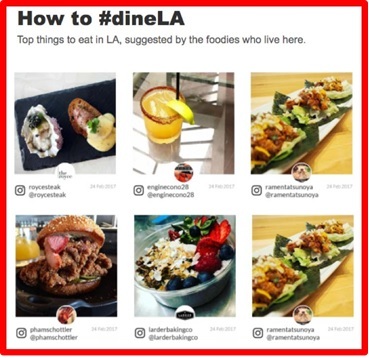 Harness every possible micro-moment by keeping your collection of user generated content in front of your audience across multiple platforms. 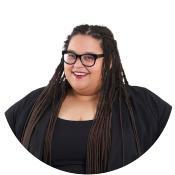 Sandee Jordan possesses over ten years of marketing experience assessing client web traffic patterns and developing online marketing strategies. As an SEM Analyst, she works with clients to continually refine and evolve their websites through constantly improving traffic quality and volume, increasing bookings, building databases and meeting client goals. Sandee also sings lead for the Simpleview band, Flock'o'SQLs.